Sustainable’s Eco House designs constructs an innovative, energy efficient houses. Sustainable‘s complete solution ranges from new Individual Houses to Retrofits (sustainable renovations) of existing homes and Recipe Houses, all complete with sustainable landscaping and master planning. You are assured of security and peace-of-mind during the ‘design and building’ process with precise Project Management from initial design conception discussion through to construction completion. We also Project Manage all of your other consultants required eg: engineers, certifiers etc. 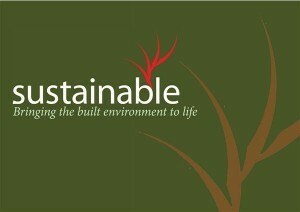 Sustainable have been in the design and construction industry for over 30 years both locally and internationally. The Housing Industry Association (HIA) which is Australia‘s largest residential building organisation and the voice of Australia‘s home building industry has awarded Sustainable with over 60 Australian housing awards. Our superb Eco house designs incorporate principles of sustainability within our designs to address both your current and future needs. We focus on lifetime solutions and look at the 25 year life cycle of your house and savings to guarantee the certainty of your lifestyle and the certainty of a realistic fixed budget. This means dollars back in your pocket long term! Your eco house designs completely customised to suit your lifestyle, requirements and needs specific to your site through our proven Sustainability Principles. We guarantee client satisfaction with our design and construction team extensively trained in client satisfaction. We are NOT project builders as we design and construction sustainable houses that are customised for each individual site. We focus on quality and build less homes per year rather than quantity alike traditional project builders.